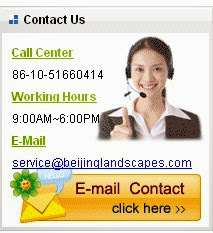 Now it is time for flowers blooming, most flowering phases are in spring, If you are lovers of flower, Beijing flower tour will satisfy your demands. Tulip is very beautiful and expresses perfect love. As one of the world's most easily recognized and loved flowers, it is always a great choice to make you feel comfortable and happy. Different colors of tulips mean different significance. For example, purple tulips mean royalty, red tulips mean true love, yellow tulips stand as cheerful thoughts and sunshine, and white tulips stand as forgiveness. The best time to witness the tulips in full bloom is late April to early May. 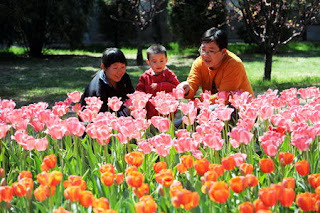 Beijing Jinzhan Tulip Garden is a nice place to see tulip blossoms. Peny, also named "Mudan" in Chinese, is known as "flower of riches and honour". Since Qing Dynasty, it has been the national flower of China. 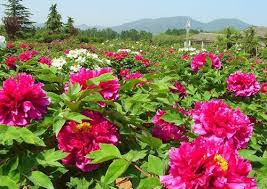 Along with the plum blossom, peony is a traditional floral symbol of China. The peony flowers often blossom from late April to early May. And the beautiful spring Peony Blossoms in the famous historical sites Jingshan Park. 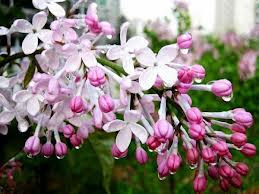 The lilac flowers are a symbol of purity and they often found in Buddhist temples in China. With 5–10 mm in diameter with a four-lobed corolla, the best time to enjoy the lilac flowers is from late April to early May in spring. When the Lilac flowers blossom, the beauty and perfume are enchanting. Usually the color of the flowers is purple, but white and pale pink are also found. Fayuan Temple is famed for its lilac gardens, known as the Sea of Fragrant Snow. The Azalea flower is a symbol of femininity and of softness. The blossoming season of azalea flowers came recently in April to late-May. You could these azalea flowers in Yunmengshan Forest Park. Their flowers often last several weeks. 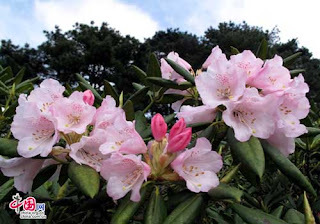 In Chinese culture, the azalea is known as "thinking of home bush" and is immortalized in some poetry and is used to rich effect in contemporary stories. In addition to being renowned for its beauty, the Azalea is also highly toxic. The best time to visit Crab-apple flower is from mid-April to late April and the best place to view them is Yuan Dynasty City Wall Relics Park. Crabapple flower buds are attractive even before they blossom. 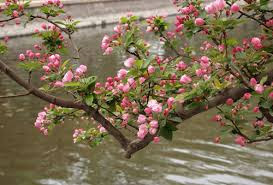 Usually, crabapple trees are closely related to apple trees grown for fruit. The main difference of them is that crabapple fruit is about 2 inches diameter or less. Crabapples are ideal smaller residential lots today for its medium size. 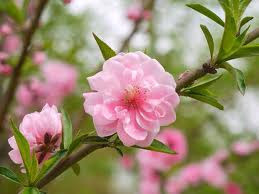 The peach often plays an important part in Chinese tradition and is symbolic of long life. And it is known as a species native to China. 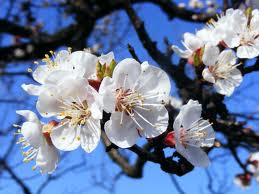 The peach trees are in bloom in early spring, usually from middle April to late April. Pinggu District is a great place to view the peach flowers. With light red, deep red peach blossoms, overlapping, packed closely layer upon layer, you will feel this is an unspeakable beauty and spiritual pleasure. Magnolias can be divided into white Magnolias and purple Magnolias. 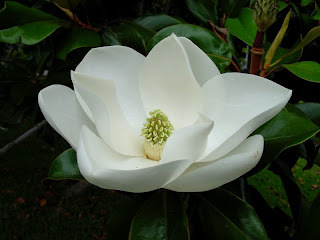 Magnolia flowers are regarded as a symbol of purity. In Beijing, you can see Magnolia flowers in parks, gardens, even along the streets. Warm and humid environment is helpful for magnolia trees to thrive. The Magnolias flowers in Dajue Temple are large, bright, elegant and fragrant, and they are last much longer than those inside the city, until the end of April. 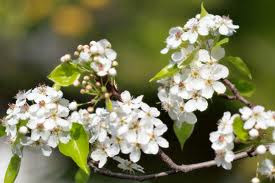 Always blossom from late April to early May, the pear flowers are white, rarely tinted yellow or pink. It is very beautiful and worth a visit! Panggezhuang was the main supplier of high-quality pears to the imperial family. Every spring, when pear trees blossom, you could enjoy the charming flowers. It is known to all that cherry is the national flower of Japan. 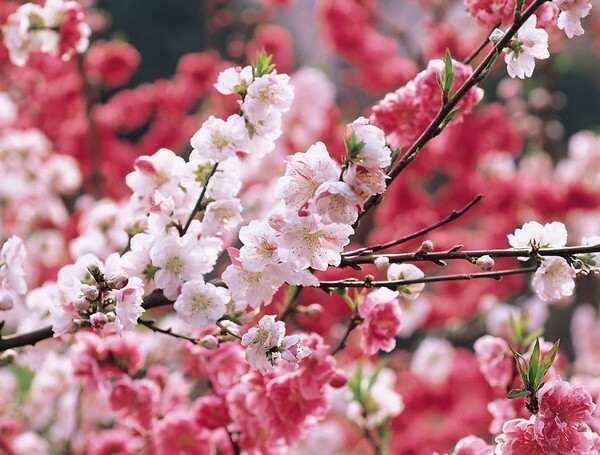 Many cherry trees were gifts from Japan when the two countries re-opened diplomatic relations in the 1970s. As time goes by, the cherry trees were well cultivated. Every spring, cherry blossom festival is held in Yuyuantan Park where attracts thousands of flower lovers as well as photographers at home and abroad to enjoy the beautiful scenery. Apricot trees, known as the herald of spring in the north of China, are among the first to blossom. The best site to enjoy the Apricot flowers is Fenghuangling Nature Park. One of Fenghuangling's major attractions is Buddhist Longquan Temple. Every year, apricot blossom from March to May, and attracts visitors all over the country to enjoy the blossom spectacle. Spring is amazing with colorful flowers blossom. Every year, different kinds of flower festivals hold in Beijing and attract shoal of flower lovers and photographers. Exposure yourself to those flowers, you will find your body and heart delighted. Things to do in Beijing - Where to Eat Roast Duck? Have You Ever Tripped to Beijing? Where Can We See Incredibly Buildings in Beijing?